Last week we heard from some of our woodworking friends on what they would like to improve in their workshops this year, now we want to hear from you! What sort of changes in the shop would help your woodworking? What skills are you looking to take to the next level? Leave your resolutions in the comments – we’d love to hear from you! I have one resolution: to become a more efficient woodworker. Reorganize and label, so I don’t spend so much time looking for the right part, piece, or tool. I have a workshop but until last week I had no real bench. This changed when after buying only $24.00 worth of wood I built a good sturdy workbench. Now that my desk business has closed and I’m working in an office, I want to write more on my building desks blog to pass on handy ideas. To be able to put on a class at Highland conveying the 30+ tips, techniques and fixtures I’ve had printed in various woodworking magazines. I am a little disappointed you did not make attention to shop safety your No. 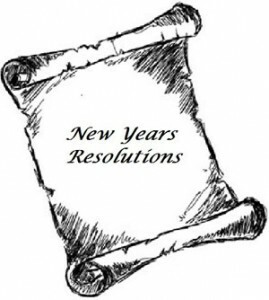 1 resolution. I recognize selling products to increase net revenue is always very high on your list, but everyone needs to remember most of us work almost every day with powerful, razor sharp machine tools. No matter how experienced you may think you are, you are always one tiny slip away from a serious accident.